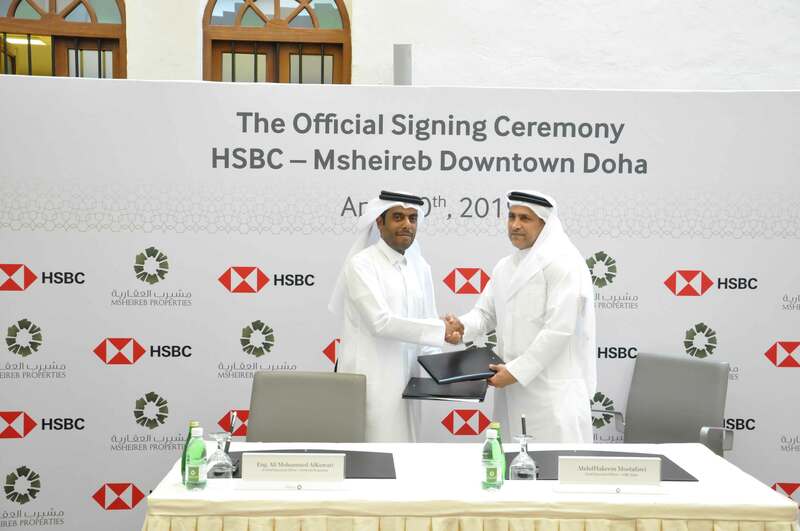 Doha, Qatar, 13 April 2019- Msheireb Downtown Doha, the smartest and most sustainable fully-built city district in the world and Qatar’s destination for leisure, living and business, will be home to the first HSBC digital branch in the country; HSBC Msheireb. The announcement was made during an agreement signing ceremony between Msheireb Properties, the national real estate developer and a subsidiary of Qatar Foundation, and HSBC Bank Middle East, Qatar, the largest international banking organisation in the country. The event was witnessed by the Lord Mayor of London, Peter Esilin, the higher management of Qatar Financial Centre and the UK Embassy in Qatar.